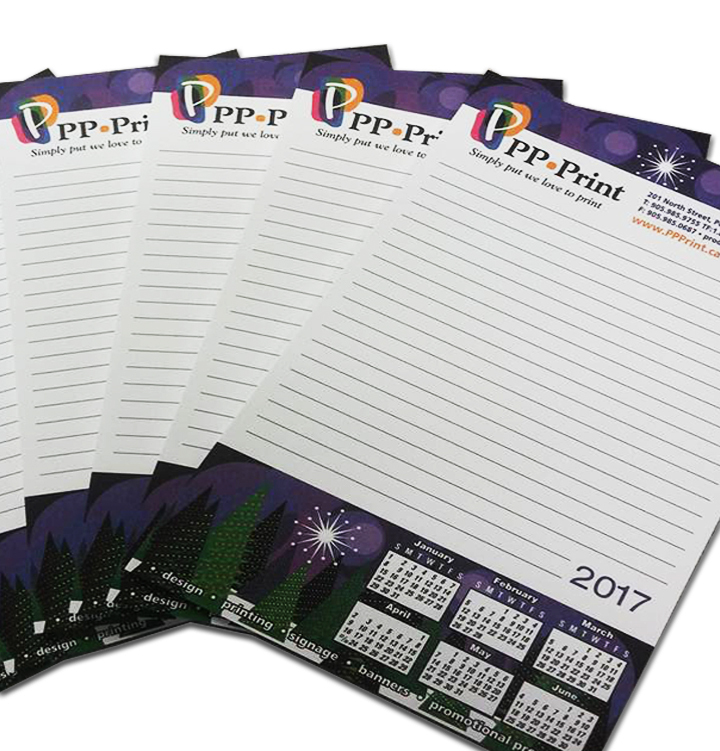 Give your customers and prospects a notepad to keep your marketing message on their desk! Our notepads are glued top-edge with a thick cardboard backer on premium 60 lb white paper, black and white or full colour, branded with your logo and/or message. If you have a unique request, let us know and we will do our best to accommodate your needs.